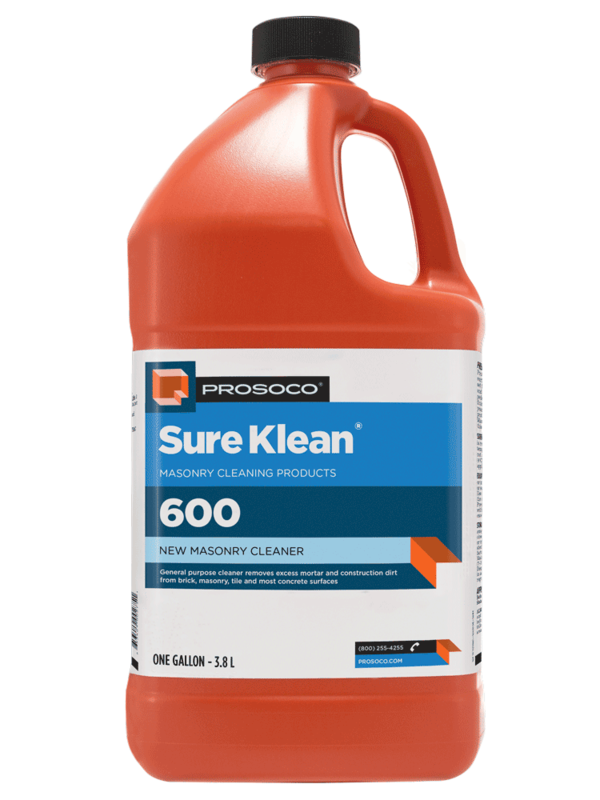 Safety Klean is an effective and safe alternative to acidic compounds for cleaning brick, tile and concrete. 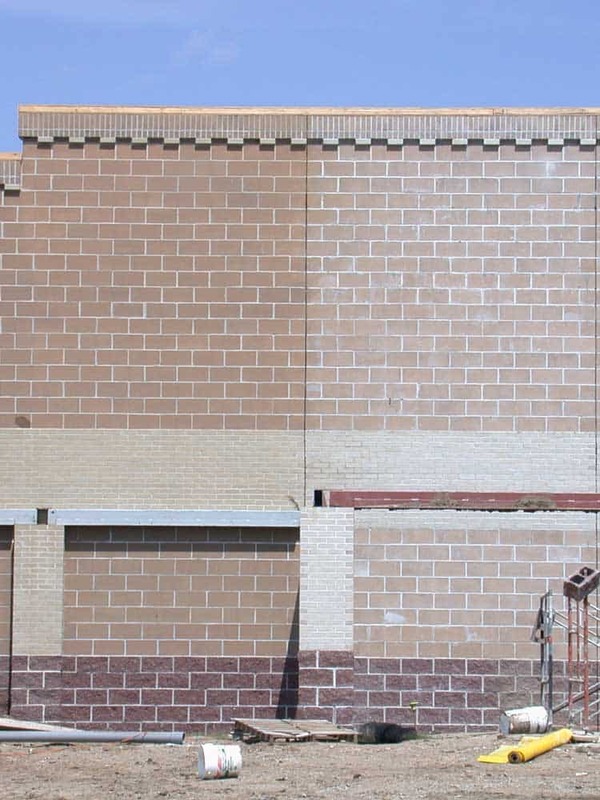 It rids new masonry construction of excess mortar, dirt, efflorescence and other job-site staining and soiling. Ideal for projects where traditional acidic cleaners are not allowed, Safety Klean is suitable for both interior and exterior cleaning. Contains no inorganic acids and is safe for use on and around most metal surfaces. Up to 70 percent more effective than citric and glycolic acids, and 50 percent more effective than phosphoric acid. Replaces traditional mineral and organic acid products. Removes secondary efflorescence on concrete block. 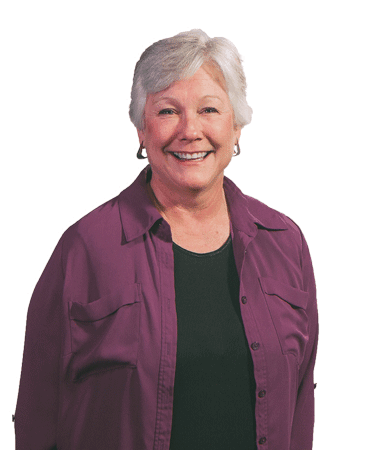 Low-odor, non-fuming, water-rinsable and environmentally responsible. COVERAGE RATE 300-1200 sq ft/gal. See Product Data Sheet for variations per substrate. 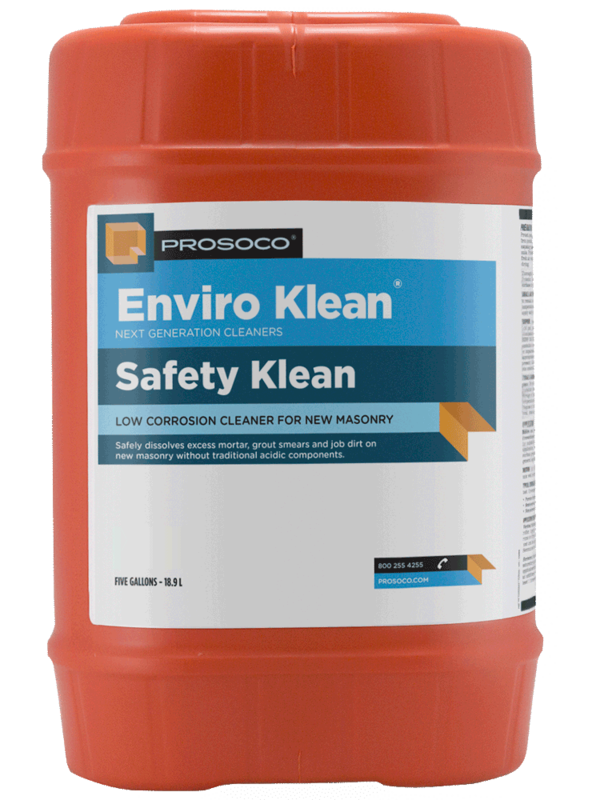 Enviro Klean® Safety Klean is an effective, safe alternative to acidic compounds for cleaning brick, tile and concrete surfaces. Safety Klean rids new masonry construction of excess mortar, dirt and other common job site soiling. It’s ideal for projects where traditional acidic cleaners are not allowed. Non-fuming Safety Klean contains no hydrochloric or other traditional inorganic acids and is safe for use on and around most metal surfaces, indoors or out. It is up to 70 percent more effective than citric and glycolic acids, and 50 percent more effective than phosphoric acid.